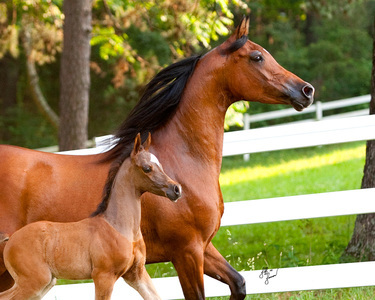 Arabian horses are our passion! 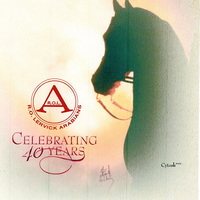 And we want to share that passion with a whole new generation of horse lovers. 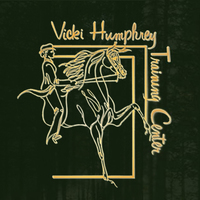 Within these pages you can find a horse to buy, learn tips for training it, how to show it, and how to market it. 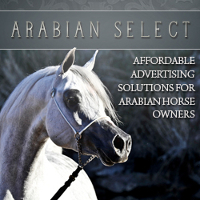 We have partnered with many of the stalwarts of the Arabian horse community to guide you through the myriad choices to be made in enjoying your Arab Horse. 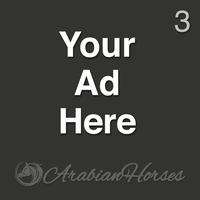 We discuss the serious issues facing the industry; we enlist the expertise of national-level judges to demonstrate how your horse is judged; we provide articles on every discipline of the Arabian horse. 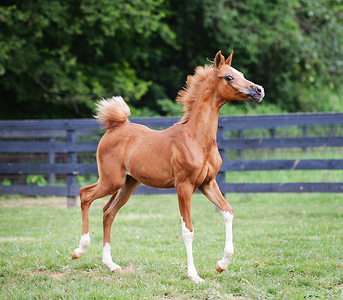 You can even win a free quality Arabian horse ! 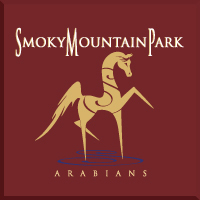 Andrea Wolfe, with Tiara Arabians, wins the Baskghazi colt Desert Ghlory, another exciting prospect from Smoky Mountain Park Arabians. Thanks to all who registered to win! 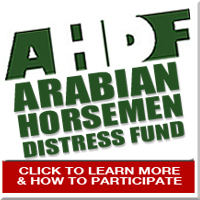 Directory of Arabian horse farms, breeders, trainers. 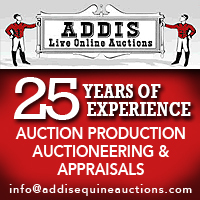 Claim your free listing and make updates, or upgrade it to professional status (your farm, photos, videos, map, pedigrees and contact info. 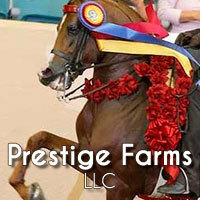 Hundreds of horse pictures from farms, shows, amateurs and professionals. 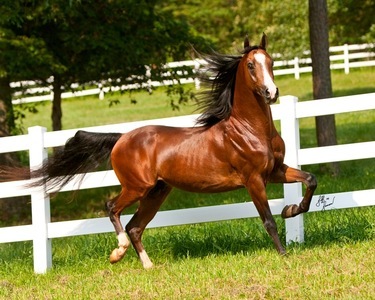 Arabian horse photos are linked to their source. 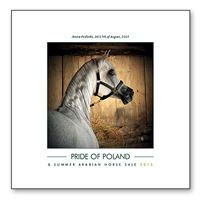 Many of the horses pictured are for sale.